Great sound made simple! DiMarzio® Guitar & Instrument Cables are unsurpassed for connecting guitars, basses and keyboards to amps. DiMarzio® Basic Guitar Cables use the same wire specifications and Switchcraft ends as our famous DiMarzio® Instrument Cable without the overbraid jacket and at a lower price. Exceptionally crisp, clear, quiet and durable, they outperform cables costing much more. They've been called "the new industry standard". Custom designed low-capacitance copper cable ensures low stage noise and guarantees consistent sound and improved high frequency response. 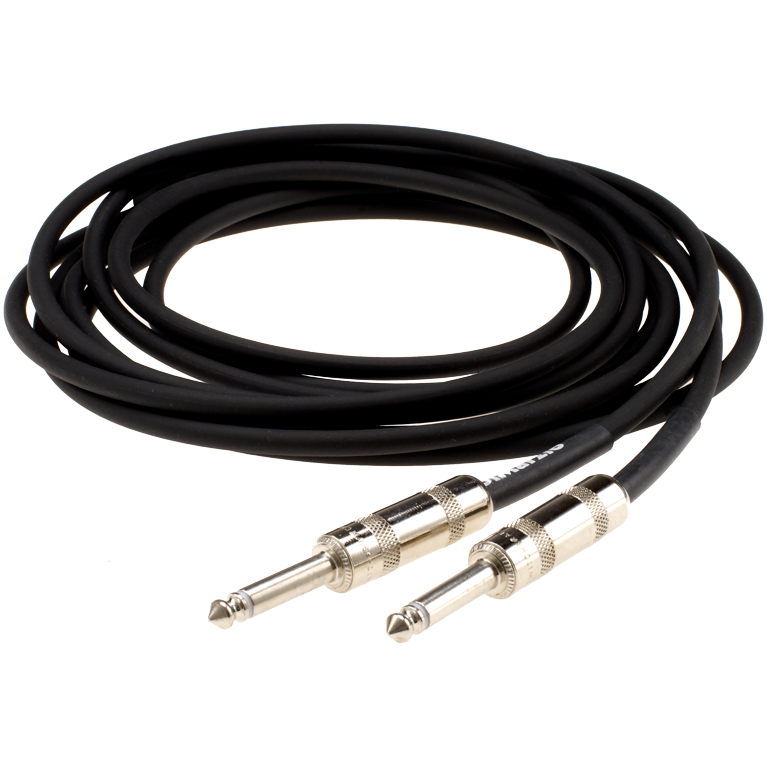 DiMarzio® Instrument Cables come in 10-foot and 18-foot lengths. Straight end and right angle options both available.